Friends, we are in full-on house selling / moving mode over here, and I have to admit– it’s kind of craziness! Selling a house is seriously no joke. One of the things I thought I would for sure have under control is preparing and staging our house to be shown. I mean, I kind of decorate our house for a living, right?! 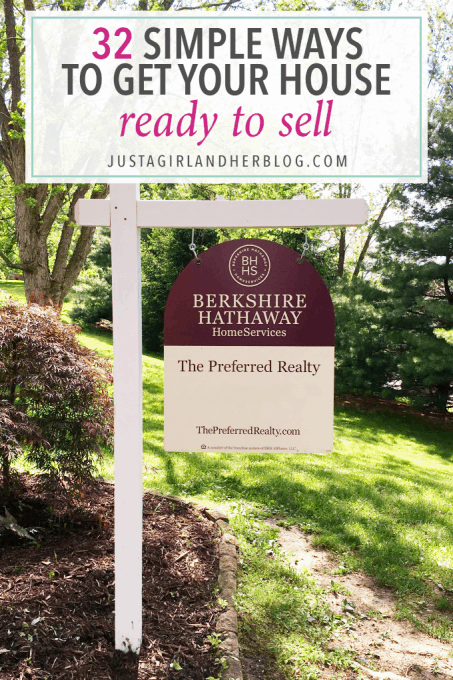 But I’ve definitely learned a lot through the process of multiple showings, and since today is my 32nd birthday, I thought I would share 32 things I did to get our house ready to sell. There were several things we did before we even called in the real estate agent to make sure that the house would show well and hopefully sell quickly! I am a major declutter-er on a normal basis, so our stuff was already fairly uncluttered, but we still took a Saturday to comb through the house from top to bottom and get rid of anything we didn’t need anymore. We figured the less stuff we had while trying to keep our house clean for showings (and eventually for a move), the better. I finally caved and brought in outside help for cleaning, and it has been a life saver! They came in and did a super thorough deep clean before our house went on the market, and they’ve been coming every other week for maintenance. It makes it so much easier for me to keep everything clean and neat in between their visits! I have rented a carpet cleaning machine and done the carpets myself before, but this time we had a company come in and do it, and the results were incredible. 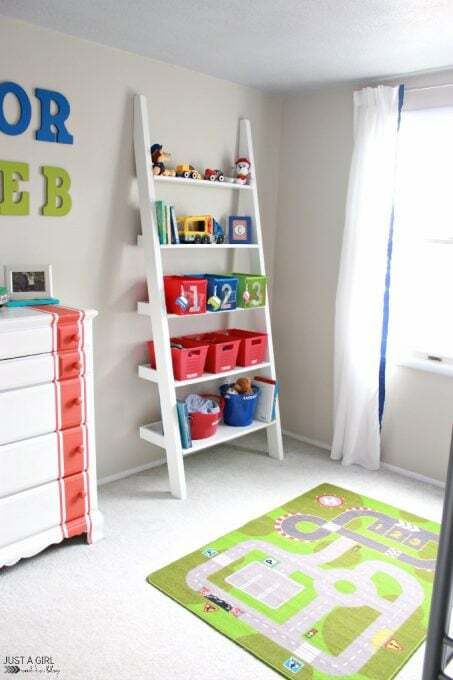 At one point I thought we may have to replace the carpet in the Cs’ room before we sold (because little boys are messy! ), but once the carpet cleaning people had done their thing, it looked as good as new! We have repainted the entire interior of our house in the past two years, so the paint was in fairly good shape, but there were still some scuff marks here and there that I went around and painted over. Be sure to check exterior spaces as well– I ended up re-painting the outside doors to our deck because the paint was chipped and worn in places. There were a few small things– like a front door handle that stuck– that we took the time to fix to give a better overall impression of the house. You know how sometimes you do a project and those little final touches just never seem to get done? We definitely had a few of those. We added a few missing transition pieces to our flooring and fixed up some moldings here and there. We live in a townhouse so most of the outdoor space is taken care of for us, but there are a few small areas that we weeded, mulched, and added some flowers to in order to spruce up the curb appeal and make a good first impression. Needless to say, this was my favorite part! 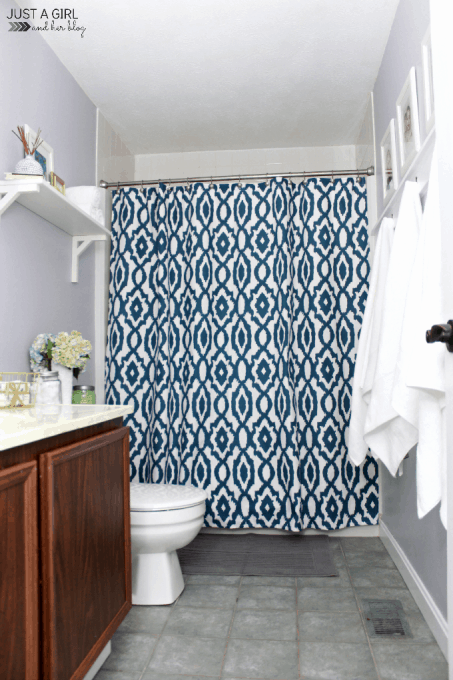 We have re-done just about every space in this house since we have lived here, but I made some tweaks and changes to make our spaces more buyer-friendly. 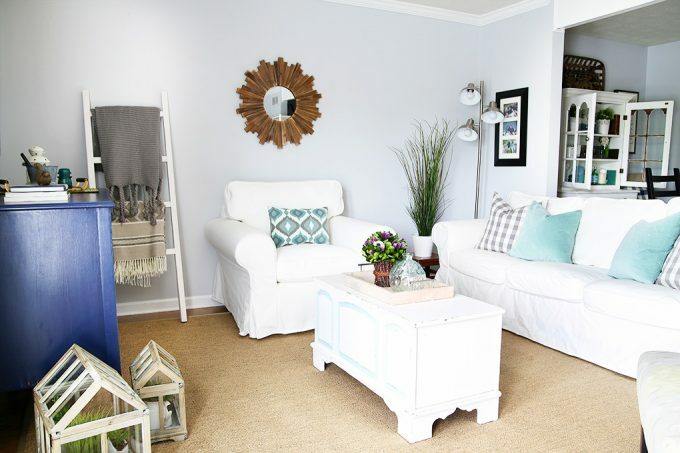 Thankfully, I’m a neutral paint girl to begin with, so we didn’t have to totally repaint every room, but I did change out some of our pillows, throws, and rugs to make things a little more neutral, calm-feeling, and easy for the eyes to take in. Our house is small, friends! It needed all the help it could get to look as large as possible, so I was sure to leave a lot of open space, minimize furniture, and arrange the furniture that was left to make the area look as big and open. This was actually one of the first things that our real estate agent commented on when she walked through for the first time. 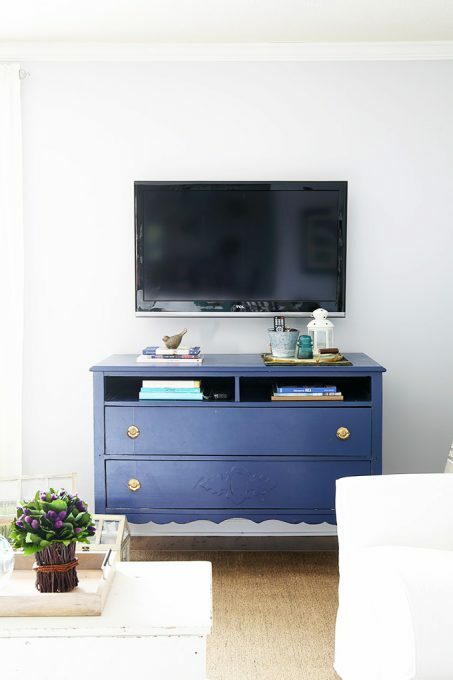 Since all of the paint colors, flooring choices, and finishes felt cohesive and like they belonged in the same house, potential buyers would feel like they could just bring in their furniture, plop it down, and be ready to go without much work at all. Our house has a few wide open areas. For example, the entry flows right into the kitchen and the dining room and living room are all one big space. I tried to use furniture placement and pieces on the walls to clearly define each space so that new owners could see potential for layouts that would meet their own needs. 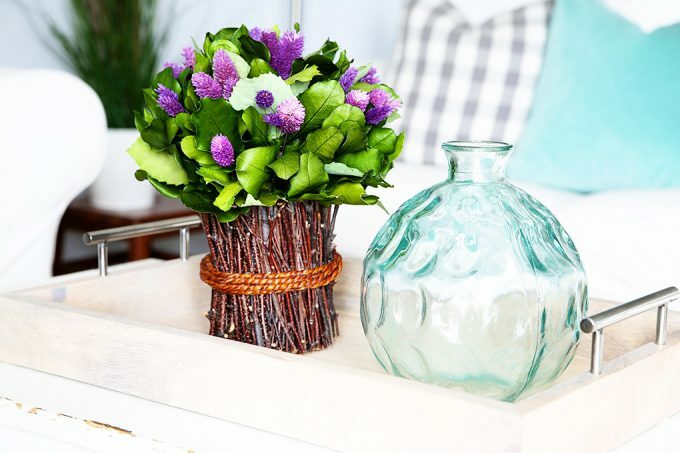 I emphasized the faux a little more than the real since I tend to have a black thumb, but I think living(ish) elements help freshen up a space and make it visually pleasing. Usually when I’m setting up a room for myself, I like to style shelves and surfaces with conversation pieces and interesting items. When getting our house ready to show, though, I used only a few pieces to try to make the spaces look as uncluttered as possible while still feeling polished and complete. Trays were a lifesaver! 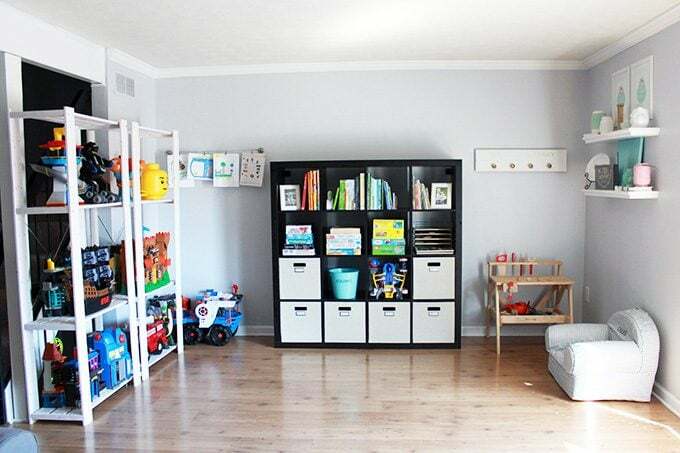 For example, I had one on the coffee table with a pretty bottle and a faux floral arrangement that I could leave out for showings and easily put up on a toy shelf when we needed the coffee table for playing games, building legos (life with boys! ), etc. One of the first things I feel like I always read when I am looking at articles about selling a house is to take down ALL family pictures. I asked our real estate agent about this, and she said if I had them everywhere, yes, take many of them down. But since I just had three photos of us hanging in a gallery wall in the dining room along with other signs and decorative pieces, she said it was fine to leave them, and that’s what I did. Toys. My nemesis. Lol. I purge our toys on a regular basis, but before we put our house up for sale, I did a few extra things to make them look neat and tidy. I put many of my kids’ board games in plastic bins because the original boxes were falling apart and looked messy. I stored some of the larger toys down in the garage so that the living room could look bigger and less cluttered. I bagged up and stored the Cs’ beloved Lego sets that they had built so they could still enjoy them in the future but so they wouldn’t be cluttering up the toy area in our house. I looked at a lot of real estate listings before our house went on the market, and most of the photos were pretty bad. I was planning on taking our photos myself, but our real estate agent uses a professional photographer for all of her listings, so I knew the photos would turn out well. I took all of the stuff off of our kitchen and bathroom counters and removed almost everything from the tops of dressers, nightstands, and desks to make spaces look uncluttered and as large as possible. I figured that every space in my house was fair game for people to look through when they were checking out our house, so I tried to make sure every cabinet, drawer, and closet they could possibly peek into was clean and neat. 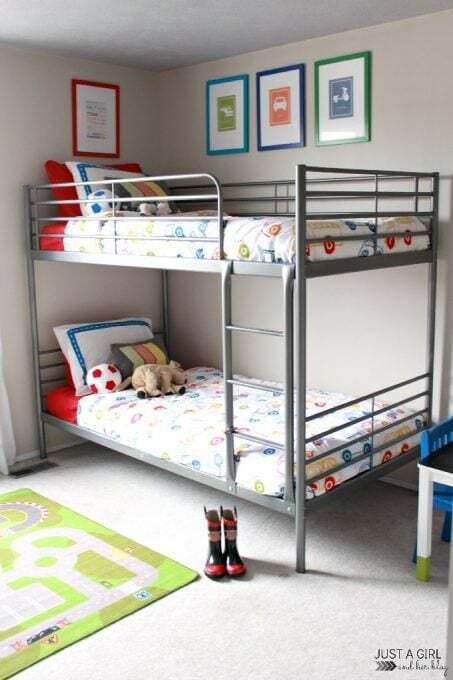 Our bed was easy, but do you know how hard it is to make bunk beds (especially the top bunk!) look tidy?! So that I wouldn’t have to climb up and down and mess with their bedding every single time, I actually had the Cs sleep on top of their main comforter and sheets and gave them blankets to sleep under that I could easily fold up and stick under our bed for showings. We tried to be super diligent with the dishes so that the sink and dishwasher would both be empty for showings. I also did laundry frequently so that it was folded neatly in our drawers rather than in hampers or in the washer and dryer. I wiped down all of the counters in our kitchen and bathrooms every day so they would be ready if we got a call for a showing. I also swept and vacuumed often so our floors were always sparkling clean. What is it with kids and bathroom mirrors?! I never noticed until we were selling our house that they manage to get finger prints or toothpaste on the mirrors every single day! I learned this trick from a few friends of mine who have sold their homes recently. 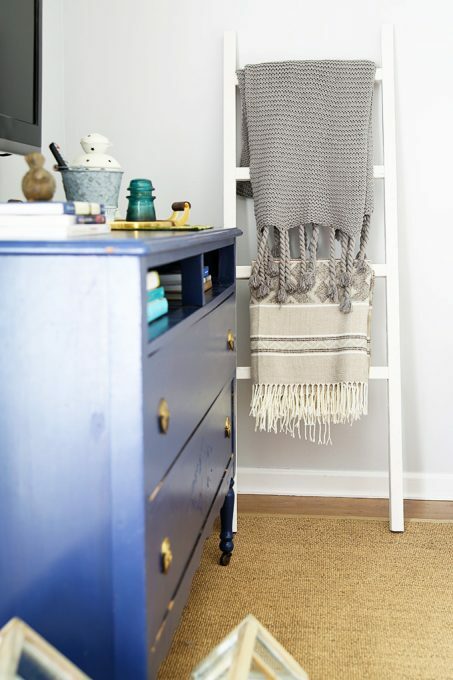 Sometimes we needed to get out of the house quickly for a showing, so I kept a laundry basket handy and loaded up any projects or paperwork that was laying around that couldn’t be put away easily or anything that looked out of place. I then put the laundry basket in the trunk of my car as we left for the showing. We went through and opened all curtains and blinds before we left the house for a showing so that rooms looked as light, bright, and spacious as possible. And finally, there were a few instances where we were leaving for a weekend or even for just a full day, and we were sure to leave the house show ready in these instances in case someone would call last minute and want to see it. Whew! That’s a lot! No wonder I feel like I haven’t been getting anything done lately– I’ve spent the whole time staging our house! 🙂 If you’re looking to sell your house soon, I hope these tips will be helpful when you’re getting it ready to show. Selling a house can be a stressful experience, but it was also fun for me to see all of our hard work pay off when our house was neat and tidy and looking its best! What tips and tricks would you add to my list? Share them in the comments! Happy Birthday, Abbey. Hope you enjoy your day! First of all… Happy Birthday!! I hope you enjoy your day a lot. Thanks for those tips, I’m in the ‘seling my home’ process too, I don’t know there, but here in Spain is quite difficult to sell so I’m crossing fingers. Ooh that’s a great tip, Esther! Best of luck with selling your house! Have a wonderful weekend! I used to work for a real estate company and you are the perfect seller! You’d be amazed how many people leave their homes exactly the way they normally live in it, lol. Great tips! Oh my! And I was worried because I didn’t repaint the whole house or move out half of our stuff, lol! Thanks so much for your encouraging words, Jaclyn! Hope you’re having a wonderful weekend! I’ve been looking to buy a house recently and it amazes me too how many homes I go into are a disaster! It makes it really hard to see myself living in a home when it is so cluttered and dirty. 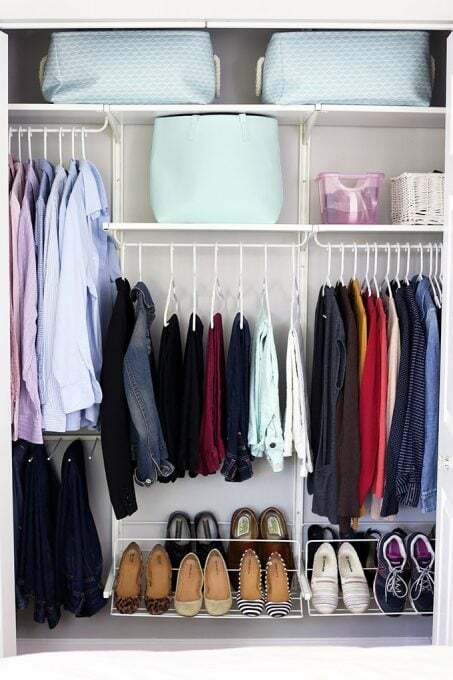 I’ve seen entire rooms (or garages) packed full of stuff so much that it is hard to see what size the room is, and that is important for me to know to make sure my king size bed will fit. I think the tip on opening the windows and turning on lights is a great one! I hate dark houses! Another thing that bothers me as a buyer is when they place clutter in front of interior doors. I want to know what’s behind that door. Blocking it off makes me think they are hiding something, like mold (even if it is probably just more clutter). Thank you so much, sweet girl! Hope you’re having a wonderful weekend! Great tips! I’m gong to have to do several of them this week! Happy Birthday Abby! Thank you so much, Beth! Hope you’re having a wonderful weekend! First of all, happy birthday! ? And then, thanks for this post. We have only showed our house three times and it was exhausting! I generally have minimal decorations but I have a lot of clutter, and a LOT of paperwork (a teacher with two kids who draw all the time). I’ve never thought of having the kids sleep on top of the made bed, especially the top bed! It’s the first I’ll start doing now! Thank you so much, Irini! Good luck with selling your house. It definitely feels all-consuming some days, but all the hard work will be worth it in the end! Have a wonderful weekend! Happy birthday! Getting ready for a showing is So much work! We have sold 2 houses and I dreaded having to keep the “fake house” up for so long (it took one house TWO YEARS to sell!) I am sure your home will sell quickly if it hasn’t already. Thank you so much, Heather! You are my hero for keeping that up for 2 years! We did it for just a few weeks and it was rough– eek! Hope you’re having a wonderful weekend! Love it! Thanks so much, Justine! We were on the other end of this just a few months ago when we bought our first house! It’s funny to read through this post and realize that our sellers did many of these things–including swap out personalized photos! I love your cool and clean decorative style, as well. 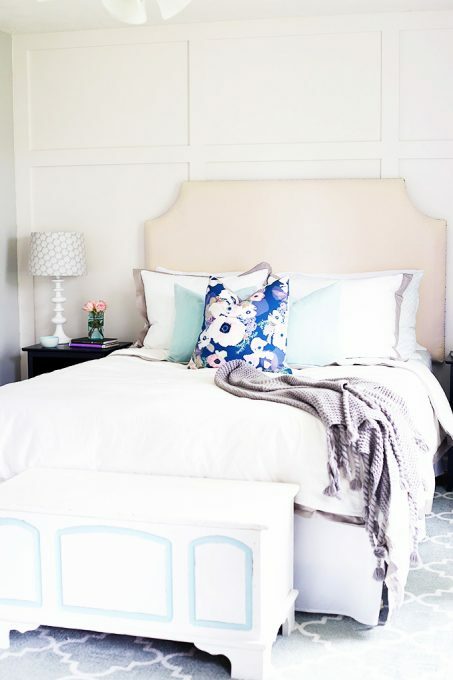 I tend to love little pops of color, but the neutral palette is so beautiful when everything comes together! I agree that bringing in a cleaning crew can help you stage your house better for selling. 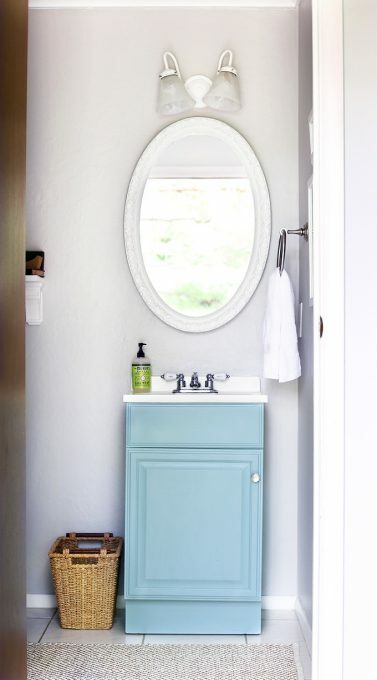 I can see how doing this can assure your house is cleaned professionally and potential buyers would be more likely to feel comfortable in it. I would want to make sure I also hire a professional to help me advertise and who can represent me in the market. So many good suggestions! This may be another one for homes with bunk beds. Have your child(ren) sleep on top of the bedspread in their sleeping bag. Just like camping out! It is good to know that the first step in preparing your house to sell is decluttering. I like what was said about the importance of keeping a house clean for showings. Finding a realtor who specializes in staging homes would be ideal to ensure your house is very presentable for showings. Very true… that would be SO helpful! Hope you’re having a great week, Jade! So glad they were helpful for you, Krysta! We certainly learned a lot during our house selling/buying process! 🙂 Have a great weekend! I love your tips and suggestions. Can I re-post this on my real estate blog giving credit to you? Hi, Tammy! Yes, feel free to link back to this post! Thanks so much for sharing! I actually heard about that advice to take down family pictures before and wondered for myself what the logic behind that was. I appreciated that you asked a real estate agent about that. There’s something comforting learning that advice like that really came from an expert. That was such an interesting one for me! Definitely not something everyone would think of! When we’ve had houses on the market I’ve found it helpful to make two checklists: one of things that need to be done daily or weekly, and another called “Battle Stations” with the last minute tasks before a showing. That second list is a lifesaver when an agent calls practically from your front door, which has happened. I love that! Sounds like you are an experienced home seller, Mandy! 🙂 Thanks for the tip! I am a real estate agent and I couldn’t have said this better! These tips really do sell a home faster and help get top dollar! Great article! Thanks so much, Kathy! Have a great week! Thanks so much for adding these, Bella! All great ideas! !